We were excited to launch one of our most desirable holiday properties to date this week. 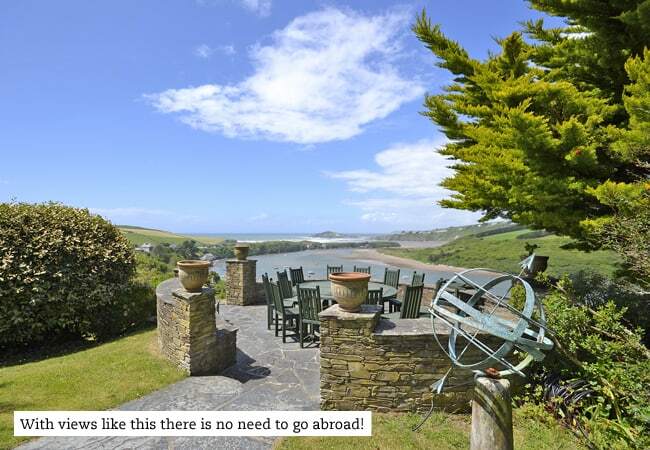 Longfield, perched on the banks of the River Avon, faces proudly out to sea and boasts some of the best views in Bantham and quite possibly the South Hams. Set amongst 4 acres of landscaped gardens, this 7 bedroom villa can sleep 17 and is minutes from one of the region’s most famous beaches. 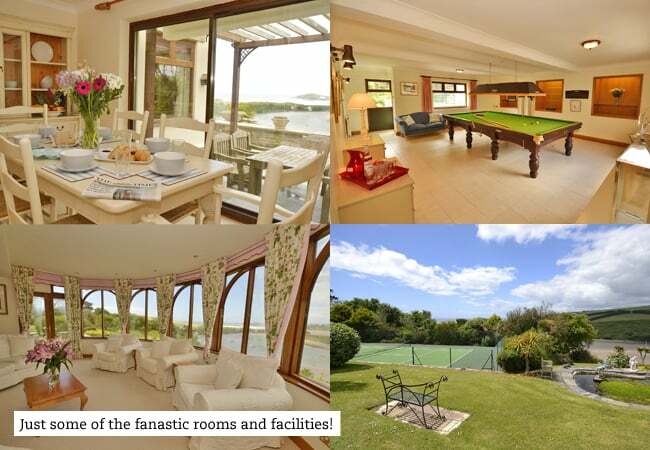 The iconic Burgh Island completes the panorama of river, estuary, beach and ocean while the tennis court, snooker table, 42″ TV with home cinema surround sound and comprehensive Sky package should keep you entertained if and when the views fail to. As far as luxury holiday cottages in Devon go, Longfield must be up there. With the beach just a stones throw away and The Sloop Inn even closer guests can enjoy the spectacular location without being out on a limb. What’s more, the prestigious Thurlestone Golf Course is just a short drive away as are the popular towns of Salcombe and Kingsbridge. The ample grounds should be enough for even the most energetic of dogs. There is a mooring on the estuary for a boat but if you really want to arrive in style the property also has it’s own helipad!